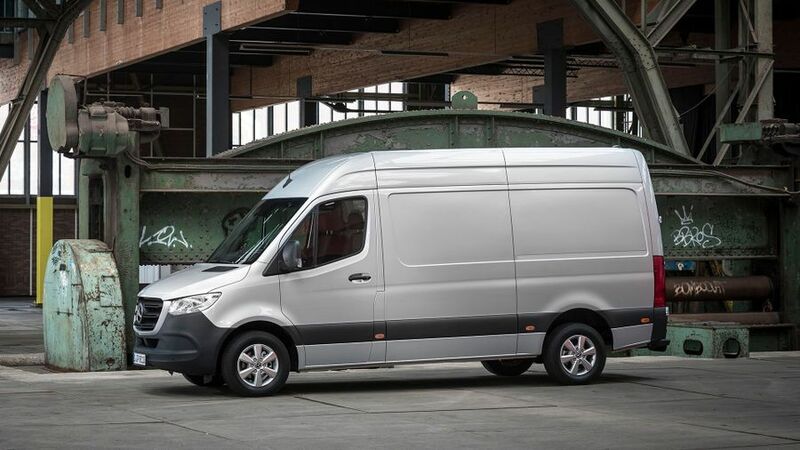 The Sprinter is the benchmark for many when looking at the large van class, and the new model aims to move the bar ever higher with an array of new technology and equipment never before seen on a commercial vehicle. It might still be unquestionably a commercial vehicle in the cabin and on the road, but the gap between the two categories has been narrowed drastically. 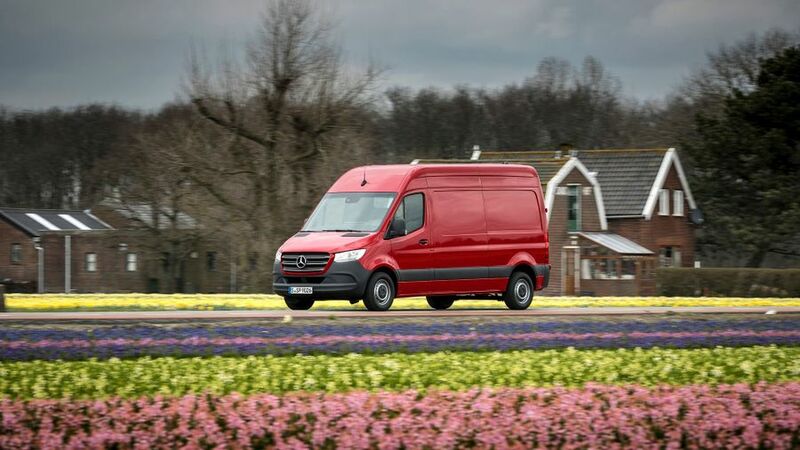 Once you factor in the various different options, there are as many as 1,700 different versions of Sprinter available to choose from, with 108 different combinations of body styles. For the panel van there are three wheelbases, four body lengths and three body heights to choose from. Naming has been simplified, too, with the three heights now H1, H2 and H3, and the lengths L1, L2 etc. There is also a crew cab version, a chassis cab, a factory made dropside, a minibus and a 4x4 model. 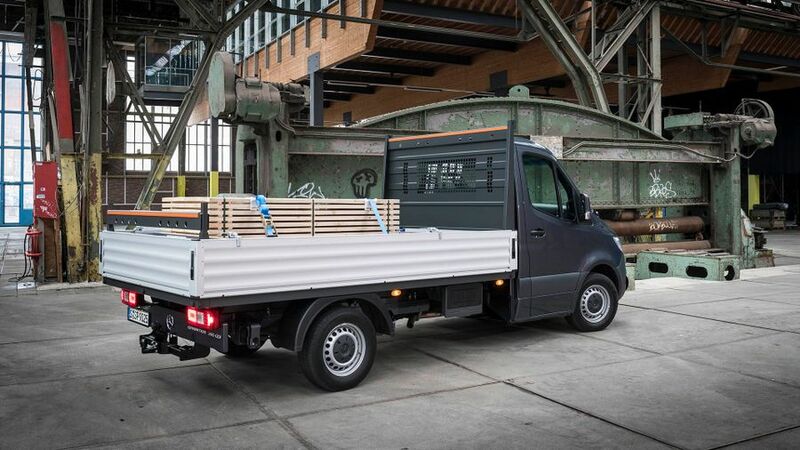 With so many different sizes available, it’s fair to say there should be a size that suits for the job you need the Sprinter to do, so it’s the details that matter. The maximum payload available is as much as 3,175kg, but that is the 5,500kg version. More crucial is the 3,500kg version, but Mercedes has yet to confirm the payload for that model. What is notable is that the new front-wheel drive version comes with a 50kg boost in payload and a loading lip that is 80mm lower than the rear-wheel drive equivalent, meaning it is the best option for those that prioritise regular load lugging. The details in the loading bay help boost practicality – a choice of different flooring is available, with bare metal, lightweight plastic and a heavy-duty option all offered. Covered load-bearing wheel arches, interior LED lighting and a standard-fit bulkhead all help boost the real-world usability in small ways. 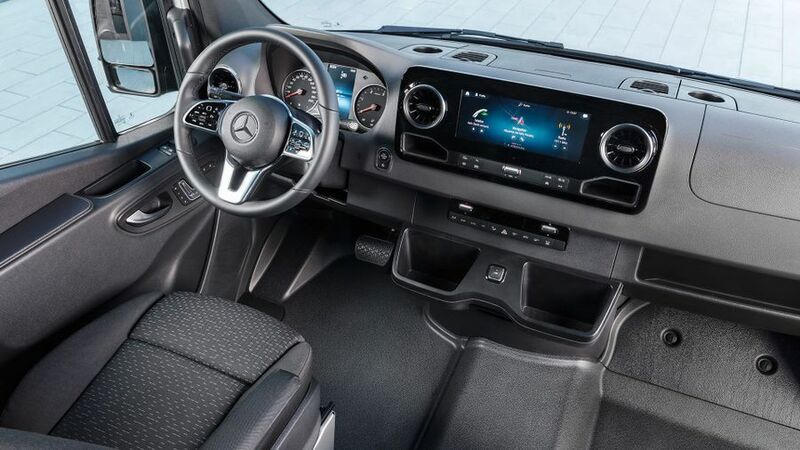 There are several different options when it comes to the Sprinter’s cabin, but each one is a step up from the outgoing model, and most of the competition. Each one comes with a colour screen as standard, which acts as a classy centrepiece to the dashboard, and as the control centre to the new infotainment system, which is the latest, impressive system fitted to Mercedes’ car range. The seats are a fantastic highlight, too. The higher-level models have supremely comfortable seats. They are designed to be easy to get in and out of, and come with the option of electric adjustment. The lower-level models don’t get quite the same level of luxury, but they are still comfortable and supportive. 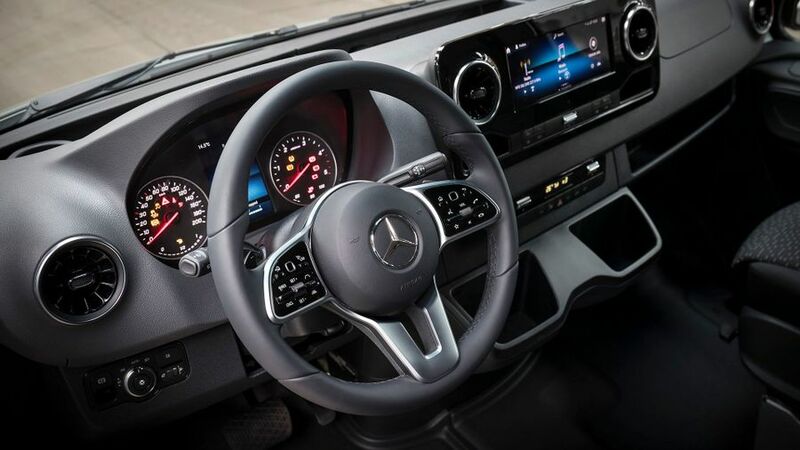 The rest of the dashboard and cabin inches ever further towards that holy grail for van owners and manufacturers as it boasts more and more of the equipment, style and quality normally seen on car models. The advancement in Mercedes’ passenger car range means you will still be able to tell the difference if you close your eyes and have a feel around, but the gap is closing thanks to the use of soft-touch materials. 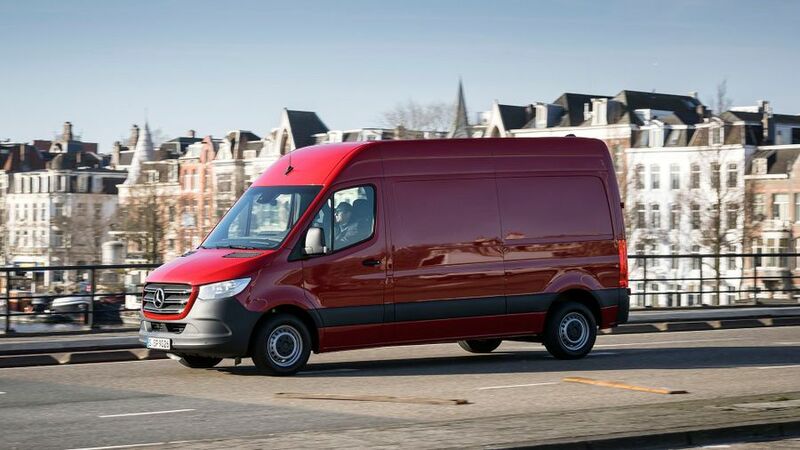 The Sprinter hasn’t made big advancements over the outgoing model when it comes to fuel economy and engines. The official fuel consumption figures range from 29.1-41.5mpg. This is about on a par with its most natural rival – the Volkswagen Crafter, which doesn’t have a single model that makes it into the 40s – but falls short of the Ford Transit and the Citroen Relay, which both have models that offer economy in the mid 40s. For those after the ultimate in final-mile fuel economy, though, the new electric version will be of particular interest when it joins the range. 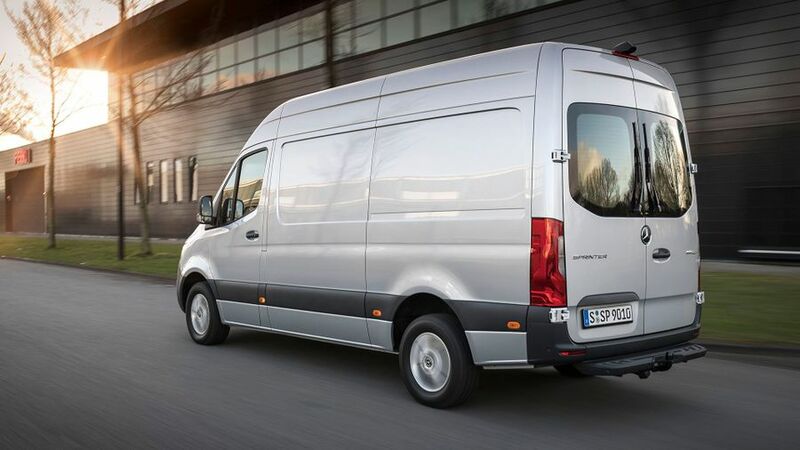 Although the Mercedes badge might bring a boost in price for some parts over more mainstream manufacturers, the brand has faith in the van’s ability, and carrying over the old engines illustrates that. It offers a 30-year roadside assistance service under the ‘MobiloVan’ brand. To qualify you need to be loyal Mercedes customers, and get your van serviced through the manufacturer, but the 24/7 service is offered in 44 countries. The warranty is valid for the standard 36 months, but there is no mileage restriction. The rear-wheel drive version is the one to go for if you don’t like heading in for a service – they have to be done every 37,000 miles, while the front-wheel drive needs to go in every 24,000 miles, or two years. The engines are no big surprise in the Sprinter. They were solid and popular in the old version, and are much the same in this model. The core of the range consists of a trio of four-cylinder diesels, while a V6 diesel offers smooth performance and is one of the most powerful engines on offer in the large-van sector. 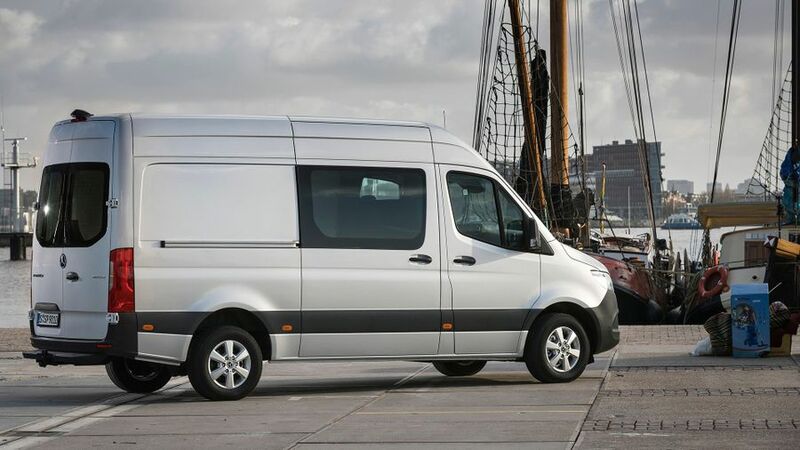 It will most likely only be taken up by those opting for the minibus version, and isn’t necessary for the panel van. The mid-range 140 horsepower version is a great all-round option, as it was in the previous version. It has more than enough pull to cope with a large cargo and is versatile enough to deal with motorway overtakes and urban trips. The front-wheel drive model is the one offering the best step forward, as it is quieter than the rear-wheel drive equivalent, as there are fewer moving parts running underneath the cabin. The Sprinter’s ride is, frankly, excellent, and it’s very comfortable on either side of the front cabin, even when it is fitted with the lower-level seats. There is no obvious difference in how the front-wheel and rear-wheel drive versions drive – both are solid and smooth to drive, with the new nine-speed gearbox a particular highlight. Visibility is excellent, too, with large side windows and door mirrors. For all the things the Sprinter does well, though, there is one minor niggle – the steering. The electronic setup is very light for a large van, and this is not a bad thing at low speed manoeuvres around town. However, although it is speed sensitive, so it gets firmer at higher speeds, it still feels a little more disconnected at higher speeds. It’s never enough to feel disconcerting, but it just lacks the solidity you get from some other large rivals. 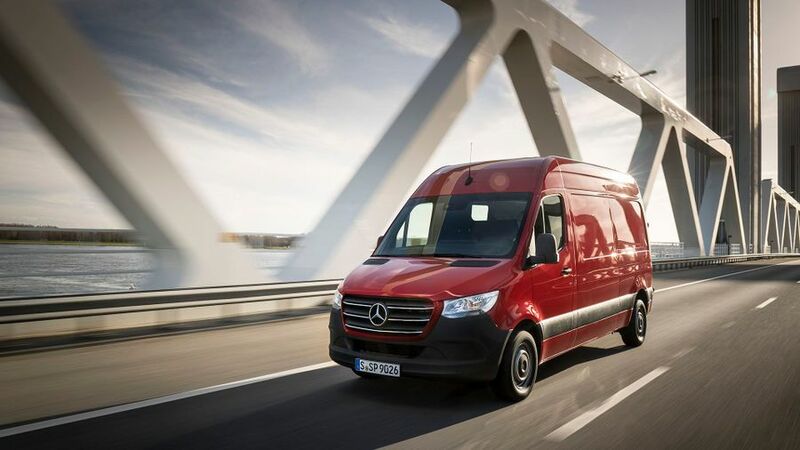 There is a vast range of safety kit offered on the Sprinter, with an attention assist, emergency call and active braking system all offered as standard. The latter monitors the road ahead and applies the brakes if it spots a hazard. It is a good system in principle, but is rather sensitive currently, and it leapt into action rather earlier than necessary on a few occasions, which was alarming to us, and likely to those driving behind, too. Other technological highlights include a rear-cross traffic alert that puts the brakes on if you are pulling out into traffic. The kit the Sprinter comes with is what truly sets it apart from rivals. By attacking the options list with no concern for cost, you could end up with a van that costs around £100,000 or more. Plenty will not see the need to raid the added extras list, though, as the amount of kit that comes as standard is impressive and focuses on in-cabin entertainment as much as safety. Every model gets a 7.0-inch touch-screen infotainment system with DAB radio, but you can upgrade to an even bigger 10.2-inch screen. The multimedia system is the in-cabin interface that allows a new level of communication between fleet manager and driver. There are eight packages that are designed to appeal to different users. The packages include ‘Optimised Assistance,’ which aids the planning of maintenance, and ‘Efficient Fleet Management’ which allows managers to pinpoint a vehicle’s location and plan journeys and jobs appropriately. There is a degree of voice control, too, which is activated by calling out ‘Hey Mercedes’ and asking it a question. It’s limited in what it can do, but it is very adept at taking dictated text messages, telling you the weather and other such simple tasks. It is quite easy to activate, though, so you might well find yourself avoiding mentioning the name ‘Mercedes’ while on the move, as it will likely chime in at times when you don’t want it to. Automatic headlights, keyless start and a multi-function steering wheel with touch control buttons are the other standard-fit highlights, while 360-degree parking cameras, windscreen washers integrated into the wipers, loading bay roof racks and a selection of lockable storage bays are all included on the extensive options list. The Sprinter was an excellent van, but the new version takes this and improves it in several key areas. Fleet managers will welcome the vast array of technology, which will work with a wide range of third-party software to help make life much easier back at base. 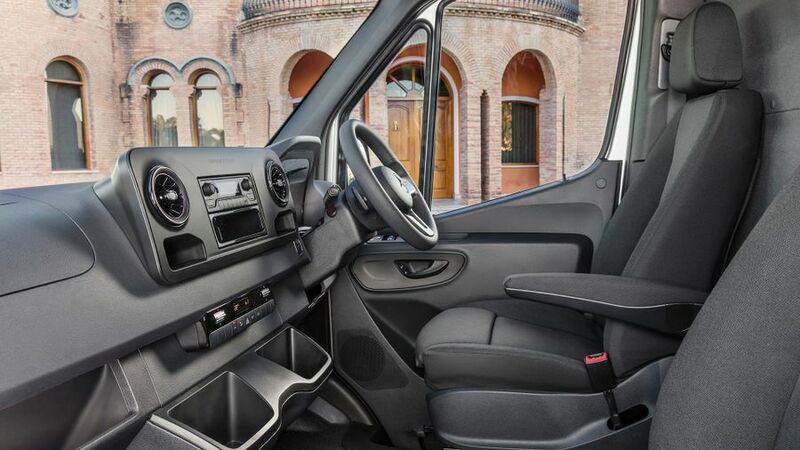 The drivers will appreciate the van’s ease of use, the excellent new gearbox, the quieter ride and lower loading height of the front-wheel drive model and the supremely comfortable cabin. The fantastic MBUX infotainment system is a real leap over the previous version. It’s easy to use, slick and stylish, and more impressive than rival systems. It’s a shame the old engines remain, especially when there are newer versions in the Mercedes range, but it is likely they will be updated in the future. Their tried and tested nature will provide reassurance to businesses, though, and they are the only element of this van that isn’t superbly modern.